This post explains how those numbers were derived in the hope that they can be more interpretable for your future endeavors. Let’s simplify it by assuming we have a mean (μ) of 0 and a standard deviation (σ) of 1. Now that the function is simpler, let’s graph this function with a range from -3 to 3. The graph above does not show you the probability of events but their probability density. To get the probability of an event within a given range we will need to integrate. Suppose we are interested in finding the probability of a random data point landing within 1 standard deviation of the mean, we need to integrate from -1 to 1. This can be done with SciPy. Code to integrate the PDF of a normal distribution (left) and visualization of the integral (right). 68% of the data is within 1 standard deviation (σ) of the mean (μ). If you are interested in finding the probability of a random data point landing within 2 standard deviations of the mean, you need to integrate from -2 to 2. 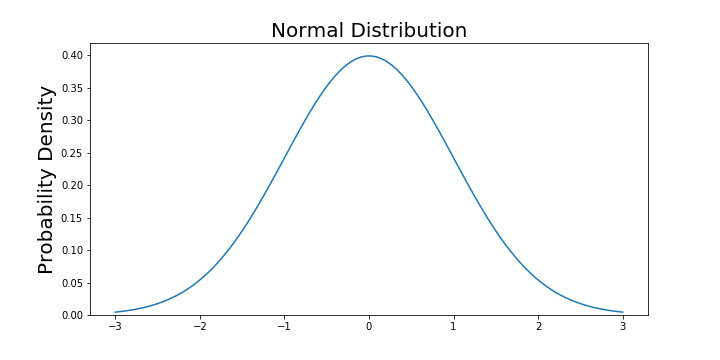 95% of the data is within 2 standard deviations (σ) of the mean (μ). If you are interested in finding the probability of a random data point landing within 3 standard deviations of the mean, you need to integrate from -3 to 3. 99.7% of the data is within 3 standard deviations (σ) of the mean (μ). It is important to note that for any PDF, the area under the curve must be 1 (the probability of drawing any number from the function’s range is always 1). 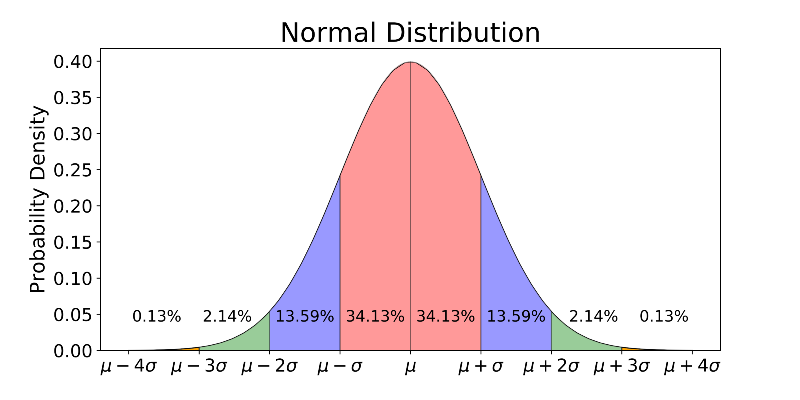 You will also find that it is also possible for observations to fall 4, 5 or even more standard deviations from the mean, but this is very rare if you have a normal or nearly normal distribution. Future tutorials will cover how to take this knowledge and apply it to box plots and confidence intervals, but that is for a later time. If you any questions or thoughts on the tutorial, feel free to reach out in the comments below or through Twitter. Bio: Michael Galarnyk is a data Scientist and Corporate Trainer. He currently works at Scripps Translational Research Institute. You can find him on Twitter (https://twitter.com/GalarnykMichael), Medium (https://medium.com/@GalarnykMichael), and GitHub (https://github.com/mGalarnyk).